Sound (9.5/10) – Lime Ears currently offers two different configurations of their triple-driver flagship. The standard LE3 provides a balanced and neutral sound while the LE3B, built by request only at this time, is an alternate tuning meant to supply a warmer tone with more bass kick. This review will cover both units. The standard LE3 offers up a balanced sound with a very mild warm tilt, akin to the JHAudio JH13 or, from the realm of universals, a newer HiFiMan set. To my ears, it is more uncolored than the vast majority of my other custom-fit earphones. The Hidition NT6, for example, is brighter than the LE3 and tends to emphasize treble more while the Spiral Ear SE-3 is warmer with its deep, visceral bass. The bottom end of the LE3 lacks a little in the way of extension – while not exactly poor in this regard, it definitely gives up depth to its enhanced-bass sibling. That’s pretty much the extent of the LE3’s concessions, however – moving up from the subbass region, it boasts punchy and controlled bass and clean, accurate mids with no hint of recession. 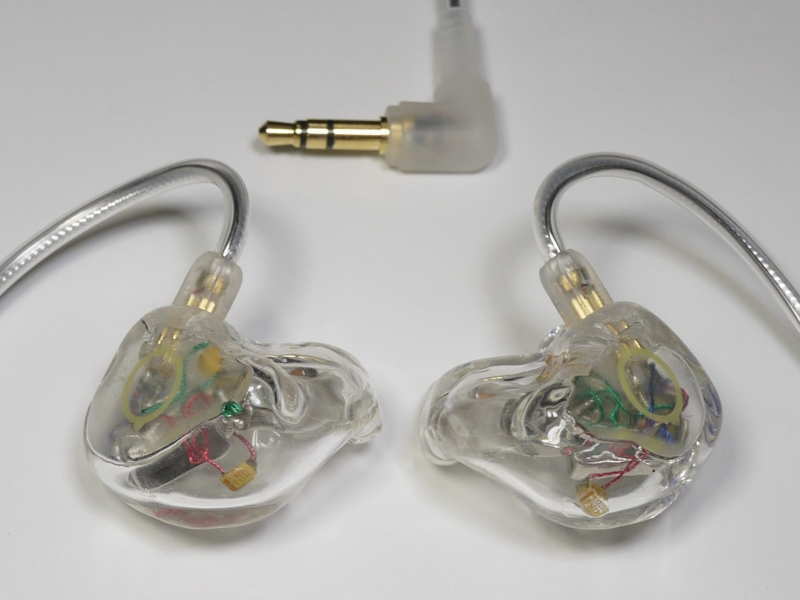 It remains smooth through the upper midrange and treble, coming across as quite forgiving for an IEM with such a neutral tone. There is a bit of crispness missing compared to higher-end sets but nothing drastic and despite the soft treble character, the LE3 does not sound dark, again reminding me of current-gen HiFiMan earphones. The LE3 also provides a sonic image that’s neither forward nor too far back, thanks to its prominent, veil-free midrange. Compared to higher-end custom-fit sets, the only thing its presentation is a bit of depth – in this regard it is similar to top-tier universals such as the AKG K3003. Switching over to the LE3B, the enhanced bass immediately makes itself known. The two earphones have many similarities – as they should, using identical drivers and all, but the LE3B delivers on its promise of extra bass, putting out perhaps the best combination of quantity and quality I’ve heard out of a single bass driver. 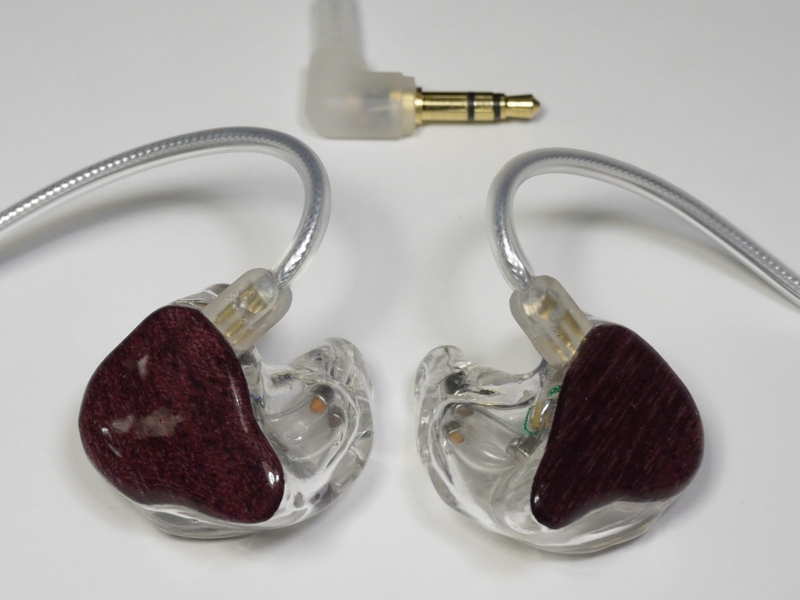 In this regard the LE3B competes with the pricier Westone ES5. Compared to the LE3, the warmer and bassier LE3B boasts not only more punch but also less roll-off while the extra bass impact and depth lend it a richer, fuller, more dynamic sound. The bass of the LE3 on the other hand, lacks the depth and rumble of the LE3B’s bass and its presentation actually seems more intimate next to the more dynamic LE3B. The less prominent bass of the LE3 results in a cooler overall tone and slightly cleaner mids. The difference in clarity is small between the two, however, and the treble is very similar – smooth but not lacking in presence. The most reasonably-priced of my customs, the CTM-200 is a dual driver that strives towards a flat/neutral sound, which made it the perfect starting point for LE3 comparisons. Compared to the CTM-200, the LE3 has better bass presence and sounds a little warmer overall. The bass is both deeper and more impactful, which results in the Lime Ears having a more natural and dynamic sound. The midrange of the CTM-200 seems more forward overall while the LE3 is more relaxed. The treble of the LE3 is smoother, though the CTM-200 is not a harsh-sounding earphone. The differences in the midrange and treble are minor and can easily be chalked up to preference. Presentation, however, is a win for the Lime Ears – they are simply more spacious and well-separated, with better imaging and depth that cause the CTM-200, with its more forward mids, to sound a bit flat and dull in comparison. While still pricier than the CTM-200, the Alclair Reference recently underwent a $100 price drop to a more comfortable price point, which has worked in favor of its value proposition. The Reference keeps up with the LE3 very well, with the only major differences stemming from its midrange and treble presentation. Signature-wise, the Reference is a very mildly v-shaped earphone that reminds me more of the UM Miracle and VSonic GR07. Its lower midrange sounds a little withdrawn compared to the more balanced Lime Ears but otherwise the two earphones have a lot in common right up to the upper midrange, which is noticeably grainier on the Reference. This theme continues through the treble, which is more harsh and sibilant with the Alclairs. The extra treble energy of the Reference does make it seem clearer at times, but it’s a dubious tradeoff that causes me to choose the LE3 almost every time. A top-tier flagship that has been popular for several years running, the Miracle is a mildly v-shaped earphone, though one with fewer caveats than the cheaper Alclair Reference. Compared to the LE3, the Miracle has better deep bass, with extension that easily matches the bass-heavy LE3B tuning of the Lime Ears, but without of the bloat. The UM is a little warmer overall and suffers from a slightly recessed midrange in comparison to the LE3, which actually appears more balanced as a result. The Miracle does catch up in treble presence, with a top end that is more prominent but still a little more refined and just as smooth as that of the Lime Ears. Overall, I was impressed with how well the LE3 kept up with the Miracle – its downsides were not as obvious as those of the LE3B and its midrange was actually preferable much of the time. Currently my CIEM of choice, the JH13 Freqphase is yet another neutrality-oriented custom that made for a natural comparison with the LE3 – indeed, I found the signature of the JH13 to be more similar to the Lime Ears than those of the Alclair and Unique Melody sets. In terms of performance, the LE3 is less extended at either end and not as clean, crisp, and resolving as the JH13. The JH13 also offers up a bit more bass punch, exercises tighter control over its low end, and provides slightly more convincing imaging but the two earphones definitely share a similar sound signature, with the LE3 approximating the sound and performance of the JH13 as well as can be expected for the price. Like the LE3B, EarSonics’ universal-fit flagship utilizes a 3-way, triple-armature setup and pursues a sound on the warm side of neutral. Compared to the SM64, the bass of the LE3B is a little more enhanced – not in depth, but certainly in impact and overall power. Despite this, the clarity of the LE3B is slightly better and overall detailing appears better as well, likely because the upper midrange dip of the SM64 is not present. There also is more treble energy with the LE3B which, combined with the flatter midrange-treble transition, makes it less forgiving and more prone to exposing sibilance. That’s not to say the LE3B is sibilant on its own – it isn’t – but the SM64 is a more tolerant of such artifacts in recordings. Lastly, the presentation of the LE3B is slightly wider whereas the SM64 appears more intimate, though still far from congested. 1964EARS’ triple-BA model is tuned for a decidedly consumer-friendly sound with big bass and sparkly, energetic, treble. The enhanced-bass Lime Ears boast a bit less bass than the V3 and offer a slightly clearer and more neutral overall sound. The midrange of the LE3B is flatter, in contrast to the bumped-up, more forward mids of the V3. The treble is smoother, with less sparkle but also less danger of harshness and sibilance. The V3, on the other hand, tends to be fairly revealing of sibilance and more colored-sounding overall. In terms of presentation, the V3 is more aggressive while the Lime Ears are more laid-back. Unique Melody’s flagship IEM offers a level sound signature more in line with the regular LE3, but for the sake of posterity I decided to compare it to the LE3B as well. Unsurprisingly, the results are much the same as when the LE3B is pitted against the LE3. Next to the Miracle, the LE3B sounds mid-bassy and bloated, with a warmer overall tone and a slight loss in overall clarity and refinement. The Miracle boasts more treble presence/energy, is more neutral in tone, and enjoys a slightly more spacious presentation. Still, though I found myself leaning towards the Miracle more here than in the LE3/Miracle comparison, the difference between the two can easily be negated by signature preferences. The TG334 is quite similar in performance to the LE3B but whereas the FitEar is unabashedly warm and dark, the Lime Ears at least make an attempt at a reference sound. Overall, the LE3B is more balanced and neutral while still offering good bass punch. The more prominent treble of the LE3B makes it sound a touch clearer and its soundstage is a little more out-of-the-head. Other than that, the two earphones are about even in performance, with both lacking a bit of treble extension and some of the refinement of more neutral sets. I preferred one or the other on most of the tracks used in the comparison, but never strongly. Value (8/10) – Operational for only a few months so far, Lime Ears is off to a very good start with their first flagships, the LE3 and LE3B. Functionally and aesthetically, the earphones are identical, with the same customization options, construction, and accessories. In terms of sound, the LE3 is a reference monitor that sacrifices a bit of bass depth to maintain a clearer, more prominent midrange while the LE3B is warmer and bassier without throwing accuracy under the bus. Both units offer advantages over the entry-level customs I’ve previously come across and compete with pricier earphones. As for choosing between the two, there’s no right or wrong answer, but I have found the bass depth and dynamics of the LE3B very persuasive in day to day listening. Note: as of August 2013, the LE3SW is available as a 50€ option, incorporating a switch that allows the user to switch between the sound signatures of the LE3 and LE3B models.